What Is The Shortest Word In The English Language That Contains The Letters: abcdef? What is the shortest word in the English language that contains the letters: abcdef? Answer: feedback. 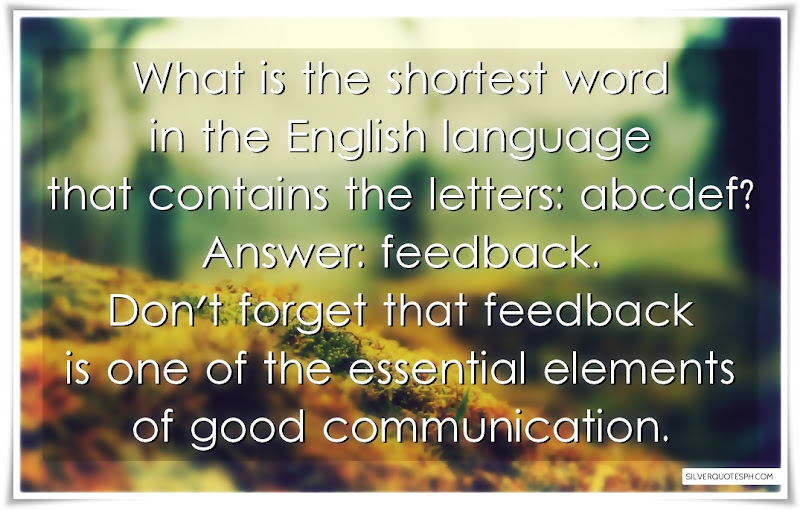 Don't forget that feedback is one of the essential elements of good communication.